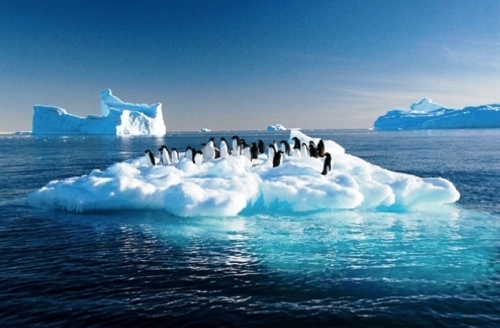 Figure 1 – Antarctic Penguins afloat a melting iceberg. When it comes to understanding climate trends, many people are extremely biased. Atmospherically biased. Why? The atmosphere affects our lives in very tangible ways every day: the morning drive to work, our children’s soccer game, our dress, and, yes, even our state of mind. These daily atmospheric variation experiences (the “weather”) cloud our vision of what actually drives longer term climate trends. Stated in another way, most people incorrectly assume that daily weather patterns and long-term climate trends are both driven by the same singular force: the atmosphere. Significant amounts of new research have shown that other non-atmospheric forces are also important drivers of long-term climate trends. This is a hugely important concept, one that has far-reaching scientific and political consequences. First and foremost our scientific research efforts should now be redirected toward defining, and then measuring, the impact that these non-atmospheric forces have on climate trends. Our current scientific knowledge base indicates that the top three non-atmospheric drivers of long-term climate trends are: variations in solar radiation, rotational and orbital changes of our planet, and powerful, and mostly hidden, geological forces. The impact geological forces have had on climate and climate-related events throughout Earth’s history is well researched and accepted. These include dramatic increases in ancient atmospheric CO2 and methane content, major changes in ocean outlines and deep ocean currents, and the shape and configuration of major continents to name just a few. Oddly, the potential affect that geological forces might have on more modern climate trends has not been considered until quite recently. A new theory, Plate Climatology, does a very good job of explaining how these modern day geological forces have a direct and measurable effect on many modern climate trends. A currently ongoing and highly impactful climate event, the 2015 El Niño, is actually the result of deep ocean geological forces, specifically heat flow from sub-oceanic volcanism and earthquakes. Earth’s atmospheric methane content is very much affected by deep ocean methane gas emissions from an array geological features: hydrothermal vents, cold seep vents, tectonic plate pull-a-part fault boundaries, and methane gas hydrate layers. Geological forces are also responsible for the melting of our polar ice caps in limited areas in response to geothermal heat flow. This heat flow originates from well-mapped sub-glacial faults and volcanoes. It boils down to this: If geological forces have the power to move entire continents one inch a year, they certainly have the power to affect our oceans, atmosphere and climate. Most of these effects are hidden from view because it occurs in deep, under-explored oceans. Keep in mind that over 70 percent of the Earth is covered by oceans and 90 percent of all volcanoes and active major faults are hidden beneath the ocean. So it seems rather illogical to presume that 100 percent of all climate variations should be attributed solely to the atmosphere. Atmospherically Biased? Definitely! From a political perspective, it is clearly time to put the brakes on the soon-to-be-enforced EPA laws / regulations and presidential executive fiats that are supposed to improve our atmosphere, which in turn will somehow fix our long-term human-induced global warming. We must first understand what drives long-term climate trends prior to enacting solutions. No matter how well intentioned these proposed solutions may seem, we now know that they will not correct the so-called problem. Our vision of what drives long-term climate trends has been clouded by two things: our daily weather experiences and a flood of man-made global warming media hype. Take for instance the photo atop this article (Figure 1) that appeared in an Australian newspaper. The image seems to support the newspaper’s contention that the Antarctic Ice Cap is melting. Clearly these penguins are having a bad “drive in to work day” because their icy world is melting. Rather than relying on this photo, a much more scientific approach in assessing Antarctic Ice Cap melting trends is to review the much more accurate datasets from the satellites that have been orbiting our planet since 1979. Analyzing this data, it becomes clear that the Antarctic Ice Cap has actually grown in size by more than 30 percent in the last 36 years, even though worldwide atmospheric temperatures have remained flat for 18 years and 7 months. And while West Antarctica is losing mass, recent studies have shown it has nothing to do with global warming but rather geological forces. Antarctica has grown so much in size that scientists and supply ships are having trouble reaching the research stations due to the rapid, unexpected growth rate of sea ice in just the last few years. Overcoming bias is only possible when armed with reliable data sets and an open mind. Unfortunately, and through no fault of their own, the public processes neither. It’s time to clarify our vision of climate and reduce our atmospheric bias.